The Nova One toothbrush holder by Zone Denmark impresses with its timeless simple look. 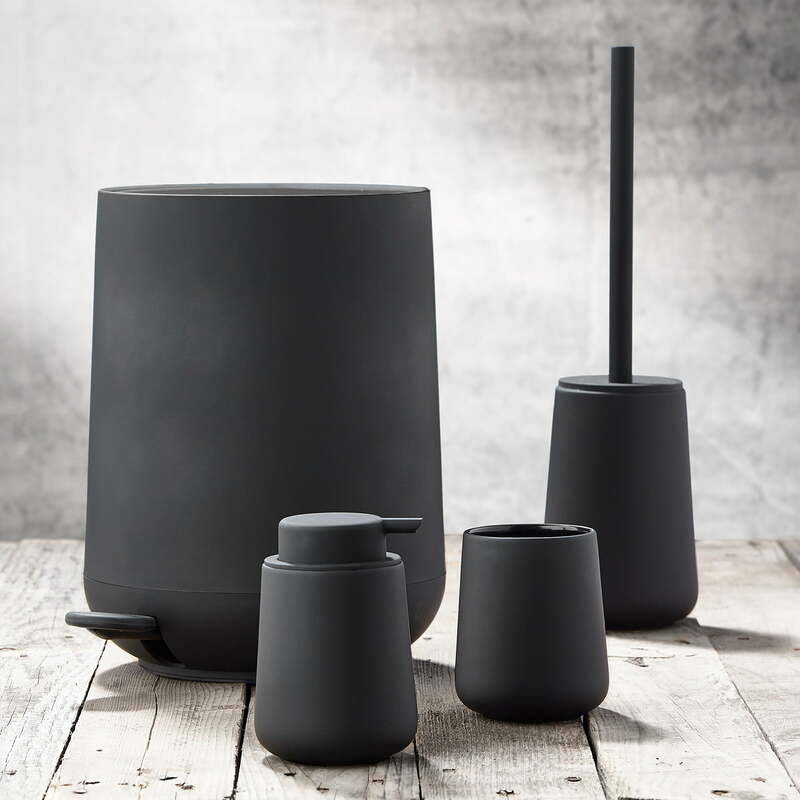 It is produced from stoneware with soft touch finish in various colours and belongs to the eponymous bathroom collection by Thomas Dudzinski. The soap dispenser, toilet brush and the toothbrush holder are available in the Nova One series made of stoneware. 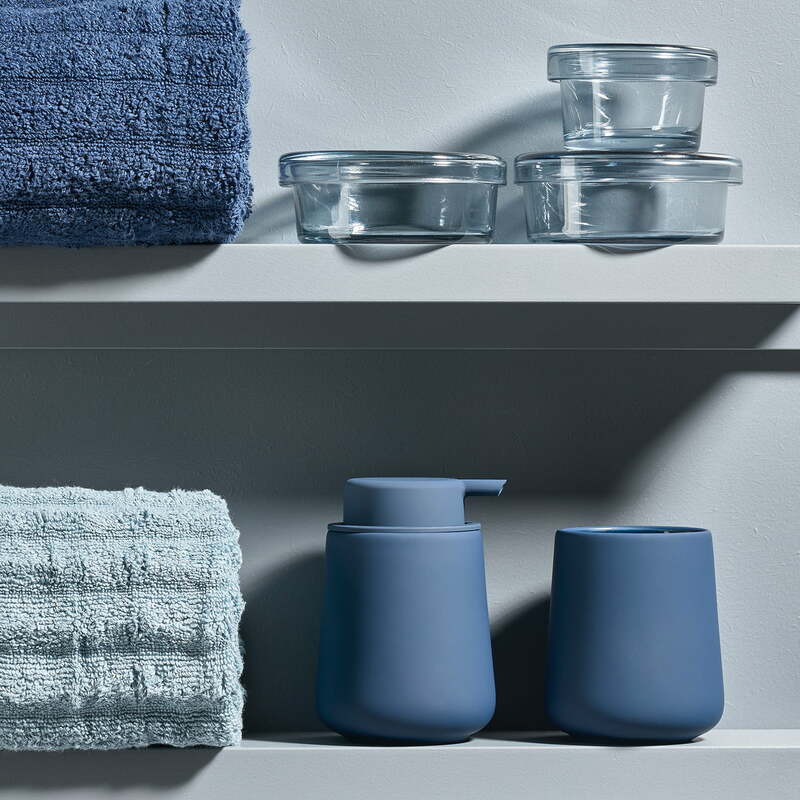 The Nova collection includes soap dispensers, toilet brushes, toothbrush holders and soap dishes made of porcelain and a pedal bin made from ABS with soft touch finish in various colours. Good size, nice grey color. Just one thing that because of the matt finish water stains are easily seen on it. 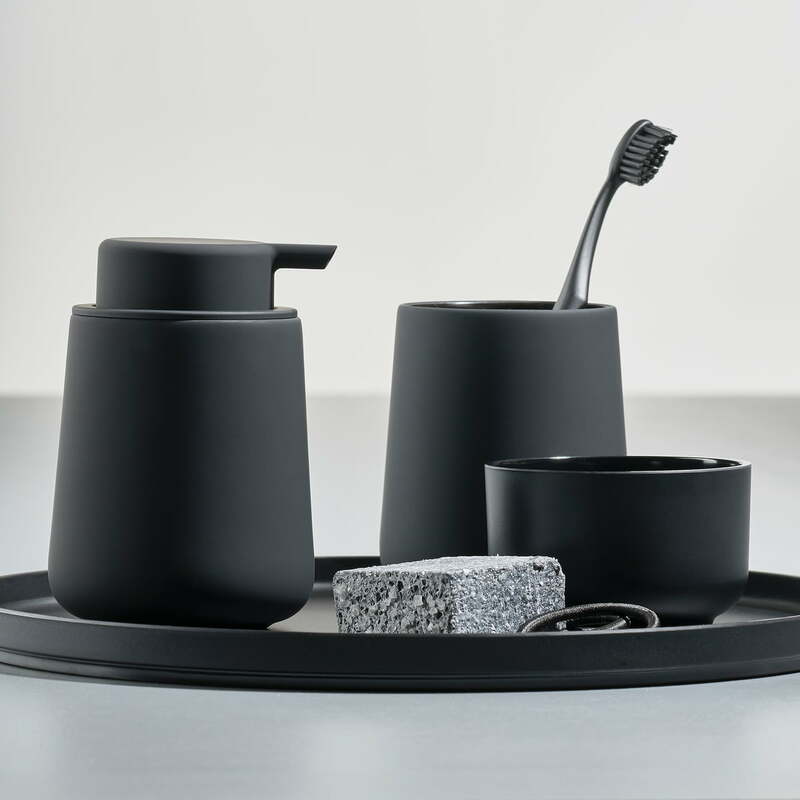 Individual image of the Nova One Toothbrush holder by the brand Zone Denmark in the colour black. 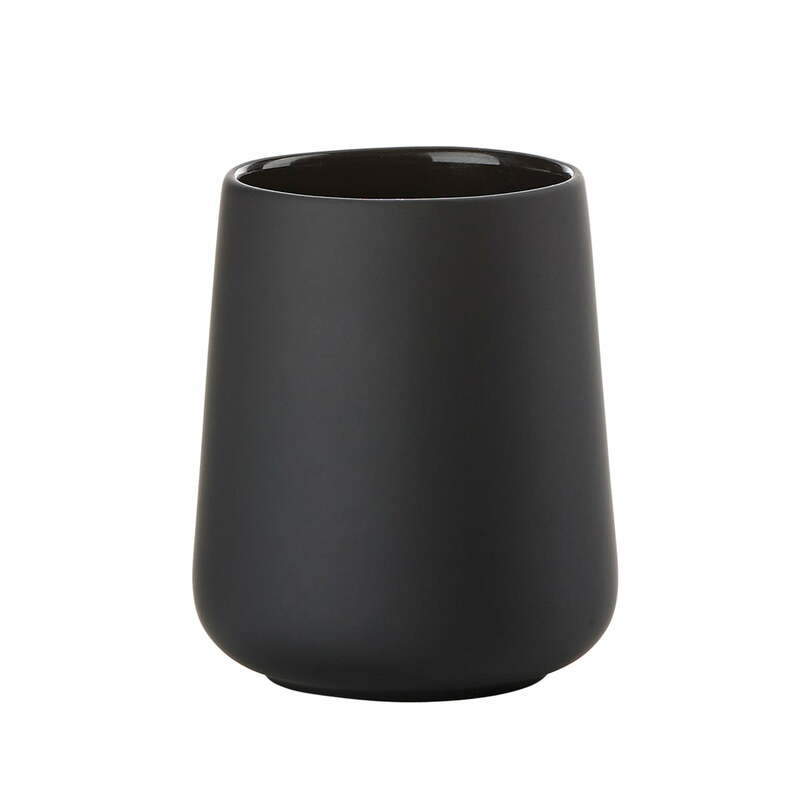 The holder is made of stoneware with soft touch coating in black.